TORONTO -- The founder of Canada’s largest automotive parts supplier is suing his daughter, two grandchildren and others for allegedly mismanaging the family's assets and trust funds, according to reports in the Canadian Press and other news outlets. 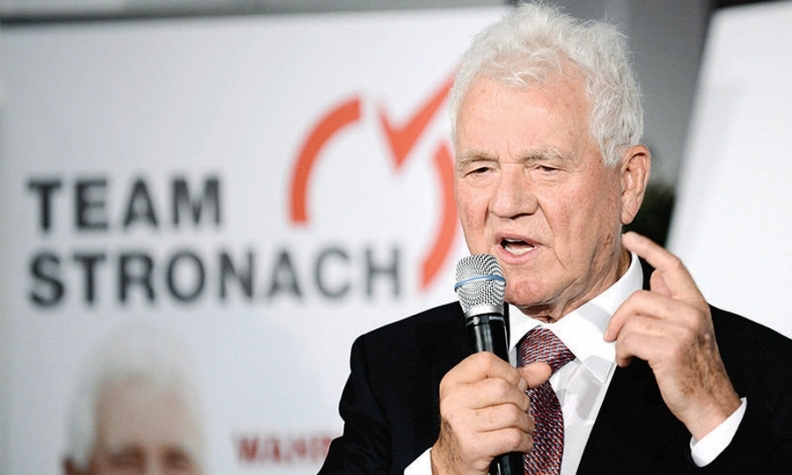 Magna International's founder and longtime former CEO Frank Stronach and his wife, Elfriede, launched the lawsuit in Ontario Superior Court and described the action as a last resort, the reports said. In a statement on Wednesday, Stronach, 86, said "considerable efforts" were made in recent years to settle the matter. Thoroughbred Daily News reported the couple have accused Belinda Stronach, the chairman and president of The Stronach Group that runs horse racetracks around the world, of conspiring by "unlawful actions" against the best interests of other members of the Stronach family. The suit seeks more than C$500 million ($383 million) in damages, the report said. Belinda Stronach denied the allegations. "Family relationships within a business can be challenging," she said in a statement Wednesday night, the report said. "My children and I love my father. However, his allegations are untrue and we will be responding formally to the statement of claim in the normal course of the court process."